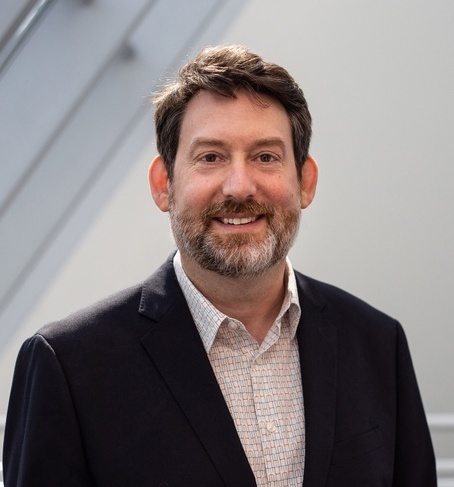 Join Locust Projects and ArtCenter/South Florida for a conversation with Ian Berry, Dayton Director of The Frances Young Tang Teaching Museum and Art Gallery and professor of liberal arts at Skidmore College. Ian Berry has organized over 100 exhibitions at museums across the United States, and expanded the Tang’s collection with significant additions in historical photography and contemporary art. Projects include group shows “Living with Duchamp” and “3-D Doings: The Imagist Object in Chicago Art,” solo exhibition ”Njideka Akunyili Crosby: Predecessors,” a two-year residency and installation with Kamau Amu Patton, and the career-survey Dona Nelson: Stand Alone Paintings. Cristine Brache, Tara Long, and Monica Uszerowicz present woven textures of spoken word layered with sound by Andrew Byrd and Tara Long. 4pm PERFORMANCE: Cristine Brache, Tara Long, and Monica Uszerowicz present woven textures of spoken word layered with sound by Andrew Byrd and Tara Long. 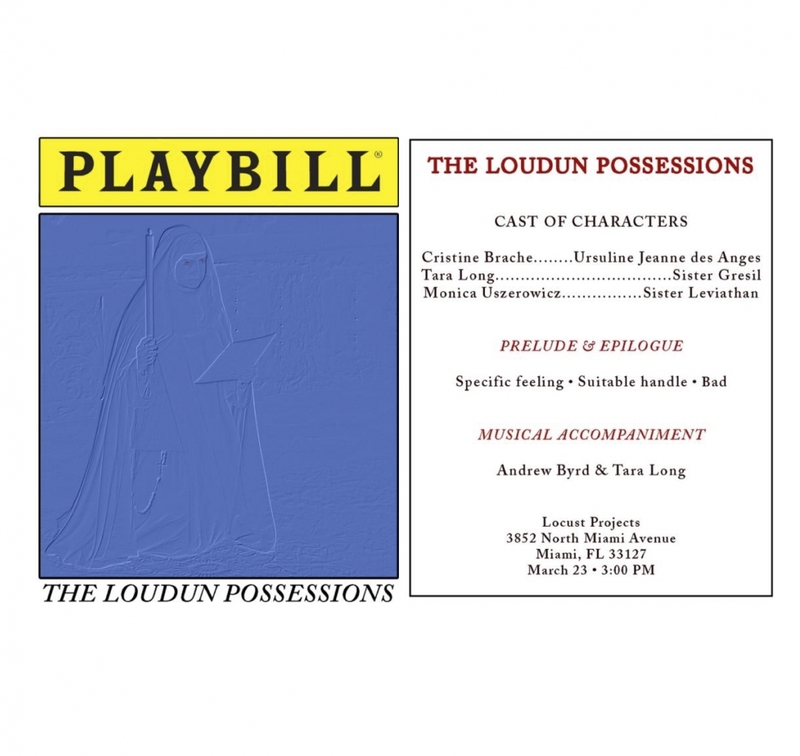 A live performance inspired by the possessions of Loudun, a notorious case of witchcraft, headed by Sister Jeanne des Anges, in Loudun, France in 1634 where a convent of Ursuline nuns claimed they were possessed by demons. The text is a combination of writing by the three performers, merged using a Markov chain generator to create a cut-up, that draws from themes of syncretization in relation to womanhood presented in Cristine’s Secret Garden. Presented in conjunction with Cristine Brache: Cristine's Secret Gardens on view at Locust Projects through March 30, 2019. ABOUT THE ARTISTS: Cristine Brache (b. 1984, Miami, FL) lives and works between Miami and Toronto. She received her MFA in Fine Art Media at the Slade School of Fine Art, London. Solo and two-person exhibitions include those held at Fierman Gallery (New York and Puerto Rico); Anat Ebgi, Los Angeles; and Guccivuitton. Her work has been featured in group exhibitions at Team Gallery (New York); the Museum of Contemporary Art (Miami); the Institute of Contemporary Art (ICA), Miami; and Bow Arts, London, among others. Andrew Byrd is an experimental sound artist currently based in Miami, FL. Much of his work is focused on creating unique, site specific sound performances using electronic music equipment. Tara Long is a conceptual artist based in Miami Fl. She has exhibited and performed locally and internationally at MOMA PS1, New York; Melange Gallery, Köln, Germany; Artists Space, New York; International Noise Conference, Miami; ICA Miami, Miami and elsewhere. Monica Uszerowicz is a writer and photographer in Miami, FL. Her work has been featured in BOMB, Hyperallergic, the Los Angeles Review of Books, and elsewhere.